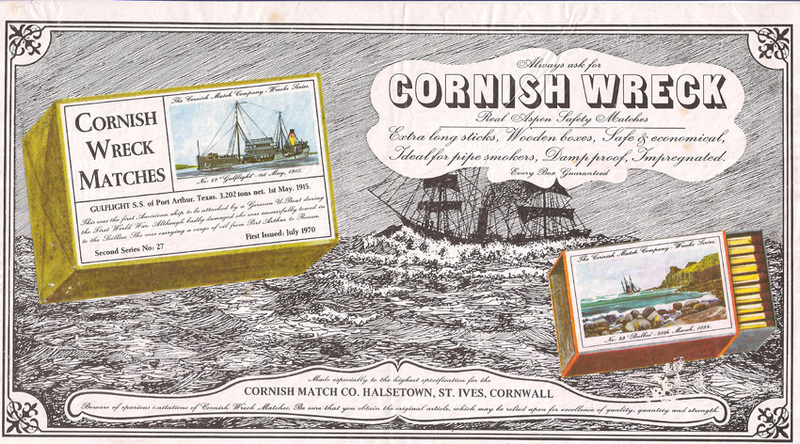 Regular size boxes were packed into dozen packets, which themselves were then packed into gross packets. 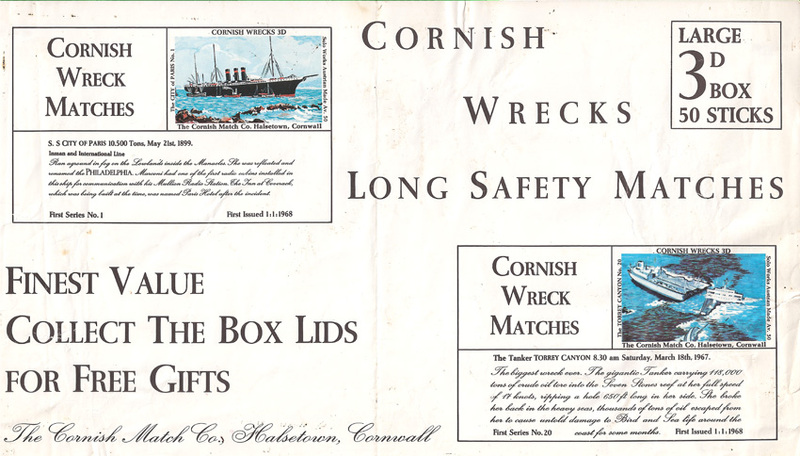 The Cornish Wreck regular size boxes were packed into dozen packets and then into gross packets for shipping to the retailer. 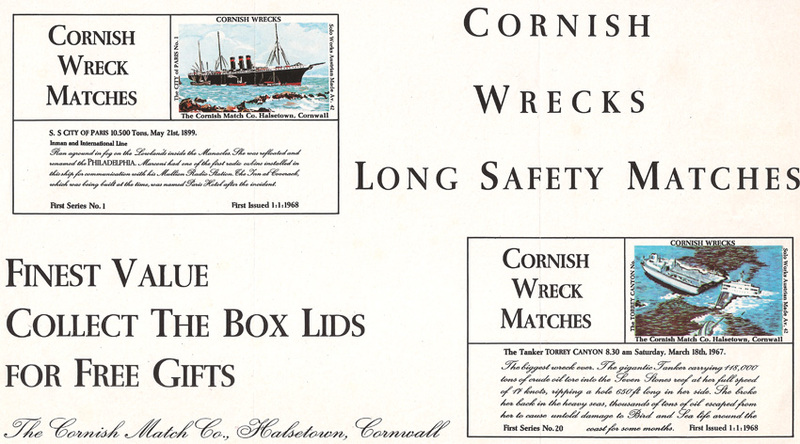 Packet labels were produced for dozen and gross packets. 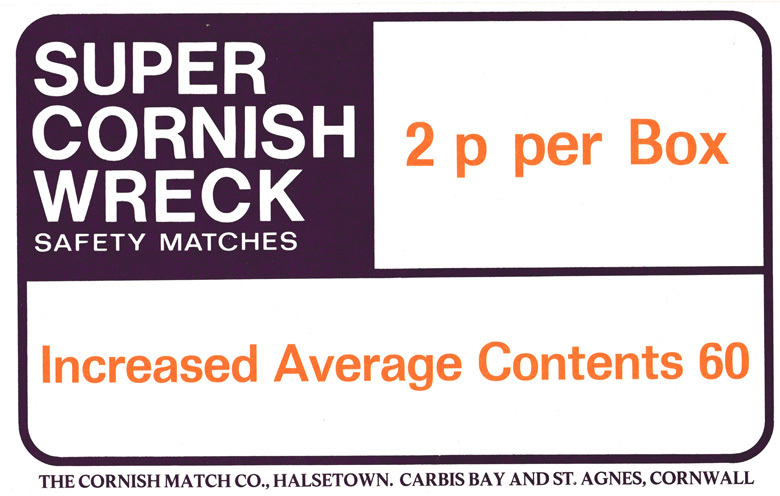 Gross packet labels measure approximately 275 cm by 168 cm and were issued for Issues 1, 2, 3, 4 and 7. 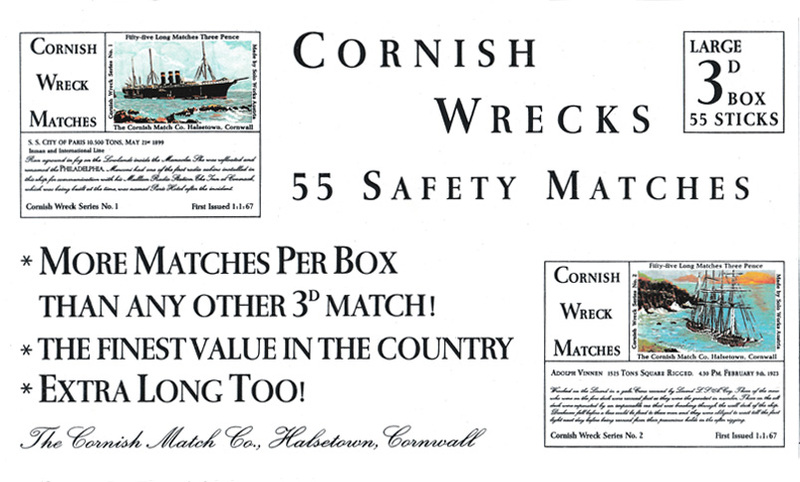 Click here for a list of all Cornish Wreck labels.